Jake Tyler feels guilty for the death of his father who died after Jake let him drive drunk. His anger drives him into a lot of fights and, when he moves to a new school, he discovers the underground fighting scene. 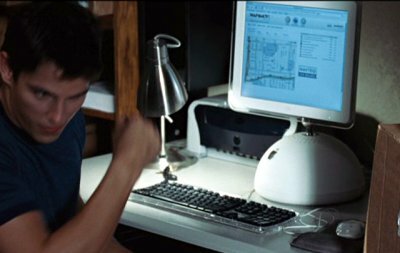 Jake has an iMac G4 in his room that he uses to watch fighting DVDs and to find the location of a party.